MR ADRIAN Goh, 33, has grown his interest in sake (Japanese rice wine) into a passion revolving around this delicate yet complex alcoholic drink made from fermented rice. He began learning about the beverage over drinks with a friend who started a sake distribution business here around seven years ago. In 2012, he took over his friend’s business when she left to pursue further studies. He retained the company’s name, Inter Rice Asia, and started finding his own niche and direction of growth for the business. He currently runs the company with three partners, including a Japanese partner based in Japan, who helps to liaise with breweries and in export logistics. Distributing sake to restaurants and pubs still continues to be the bread and butter of the company. However, Mr Goh also started an online retail arm, which helps to open up direct sales to consumers. The firm’s corporate gifts arm, catering to institutions such as those in financial and telecommunication sectors, has also been kept busy, particularly during festive periods. 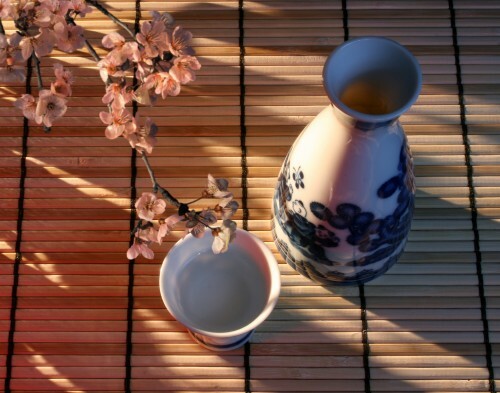 Another growing part of the business is the sake-tasting and sake-pairing services. These were introduced when corporate customers asked Mr Goh to teach sake appreciation to their staff through seminars and workshops. In sake-tasting sessions, participants get to sample different sake and learn to look out for various qualities such as appearance, bouquet — the smell of wine — and taste. Sake can also be matched with various cuisines. “Many think that sake is just for Japanese food, but it is not the case,” says Mr Goh, who has paired sake with cuisine from Chinese to Spanish to Indian. As testament to his passion for the rice wine, Mr Goh has passed not just one but three international sake sommelier certifications, including one from the Sake Service Institute’s international arm. The certification from the private entity, based in Japan, consists of three parts and is noted for its difficulty, testing examinees on areas including sake history, ingredients and production process, plus sake-tasting and service knowledge. Taking the certifications was a natural progression, says Mr Goh, as he wanted to learn as much as he could about sake. Though he had taken over an existing business, he had his challenges. A heartening thing about the sake circle is that it shares information generously, he adds. To excel in the business, having qualities like the willingness to learn, flexibility and good people skills are a must. Though drinking is part of his job, he is careful to do it in moderation and takes supplements for liver health. His plan this year is to expand his team with hires in sales and administration. This will give him more time to focus on business development and sake education. His dream is that sake will become a legitimate option in most restaurants, not just Japanese ones. He notes that consumers here are quite sophisticated, already familiar with drinks like wine, beer and whisky, though sake is still quite unexplored. But the thirst for sake is growing, and he estimates that there are now around 300 brands available in Singapore.